We are constantly trying to improve this site to be the best LEGO community on the Internet, so please discuss the site or provide suggestions here. We are happy to listen and accept constructive feedback from our members! What do you guys think of the board structure? Are there any boards you'd like to see added / removed / relocated? Mmmmmm... The fresh smell of a new forum. It's delightful! I am very glad to see the "quick reply" feature. Things are looking great guys, thanks for your willingness to get this project going! I'm loving this so far! I would like to see a page that explains how to use http/linking for new users, I've worked it out but it could help some people. Hey Jordan and David, how easy is it to change the skin(?) of a website? I think, instead of purple that the colours of dark and light grey would really compliment the scroll and torch features, as well as flow with the castle theme of the site. Another idea could be to have an old parchment or scroll background, or include inspiration straight from LEGO such as the website Castle World: z13.invisionfree.com/Castle_World/index.php? As I think about it more, perhaps you could use the LCC shield design either in the guild hall pic, or the other one below, just like CC uses the original red and blue shield? That way the site would have its own distinct theme. I do understand that this site is still in construction and you guys probably already have some ideas for this but I thought I would give some input! The skin and images are all super easy to change. In fact, I'm pretty sure that as an option in your profile, you can choose between a few of the themes that we've been toying around with (none are all that great, at the moment). We likely won't implement a straight LCC (or whatever it will be called) theme for the entire site, because we are only going to be one subforum of the overall board. Those are good ideas. Thanks for your input! A lot of the new forums and such I like! However, I feel like a bit of streamlining might be in order. Having a ton of varying forums and such is well and good, but we don't need too many. For example, I really don't like the "Legends" lead board that then leads into the LCC/NOR etc boards. As the entire reason that this forum has been created IS the LCC/NOR roleplaying game, I feel it deserves its own main forum link from the front page. IE- I think "Legends" should be dropped or moved, and the NOR main board should be on the front page; it deserves to be there. The way it is now is equivalent to having a folder labeled "Birthday Pictures" that, when opened has nothing other than another folder titled "Birthday Celebration Pictures", which then leads to said pictures versus just having the first folder contain the pictures. It's just unnecessary. I understand that you might want it to be sort of a "Stories" or some such forum, but I feel like it still doesn't merit greater importance than the titular LCC/NOR board. It should be (at least IMHO) a main board, not a sub board. I would suggest actually making the "NOR" board a main board, and then maybe keeping or renaming legends and just having the "far off lands" refer to other stories or role playing games etc. Roawia shouldn't be a "far off land" not here at least- this (this site) is intended to be Roawia's home- we are all right here. The forum wasnt created for NoR explicitly. 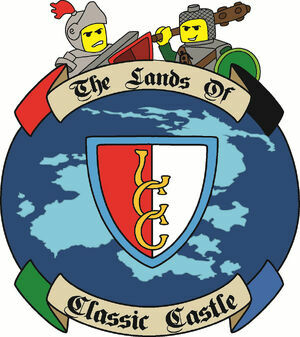 It was created as a general castle forum, and we were granted a section f it to run LCC/NoR however we liked. As such, it is up to the site owner if he wants to move it to the front page. Currently, there is nothing else in the "Legends" folder, but eventually there will be other stories and maybe even other role-plays. That is why we are in a sun folder off of the main Stories ("Legends") folder. So is the Legends folder the place to post stories, like we did back on CC? I'm not trying to compare the two sites or anything, or make this one identical, but it would be nice to be able to share stories with the rest of the site. Thanks Jordan, that's great! I had some really helpful feedback from the story ideas I put in the CC thread, so hopefully I'll get the same response here! Working on Site Details and gathering resources. I will talk to Jordan And The team but basically we are down for whatever the community wants. The goal is to give you guys the resources to expand and grow. My hope is to provide resources for the community and I think the NOR/LCC Group is a very valuable growing group of builders. Oh, okay then, I suppose that makes sense, I just got the impression from the flickr post it was created for NoR. I still think it should be a front page board though, as that will likely end up becoming one of the big draws for this site, but thanks for clearing up that point! I think we need a Minifigures forum or subforum. Think about it- minifigures are a very large part of almost any genre, and minifigure building has evolved over time into an entire subset of lego MOCing on its own! I think we would benefit from having a forum/subforum dedicated to minifigures so that everyone has a place to store armies they are working on, figbarfs, minifig combo testing, custom minifigs, etc. However, while I think we would benefit from a "minifigures" forum, I don't think we should have a dedicated "customs" forum. The reason I say this is because every time I've seen a forum with a dedicated customs forum, IE CC, it doesn't get all that much traffic, and a lot of the more "softcore?" for lack of a better term, customizers avoid posting their stuff there, as many feel it wouldn't be "custom" enough. 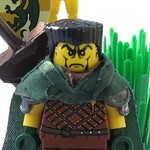 As such, I think simply having a minifigures forum for all things minifigures would be sufficient, and all-inclusive. I had considered that and almost made it as a subforum in the "completed creations" board, but wasnt sure if it was needed. We'll discuss w/ rest of staff to see if they think it is a good idea. The only concern is creating so many sub-boards that it becomes difficult to navigate the site.